Apple previously had a webpage dedicated to customers coming to an iPhone from Android devices, but it featured less information on the iPhone itself and focused primarily on the Move to iOS app, a dedicated app that helps Android users transfer contacts, message history, photos, mail accounts, calendars, and more. The site, which features clever animations and a simple design that's quick to scroll through, ends with an iPhone comparison chart and direct links to purchase iPhones from Apple's current lineup, including the iPhone 7 Plus, iPhone 7, iPhone 6s Plus, iPhone 6s, and iPhone SE. Apple continues to see a growing number of customers who are switching to the iPhone from an Android device, which Apple CEO Tim Cook covers in nearly every earnings call. During the second quarter earnings call in early May, Cook had this to say: "We saw the largest absolute number of switchers outside of Greater China that we've ever seen in the same period." Update: To go along with the new site, Apple has uploaded a series of 16 second videos on its YouTube channel. Each video (there are five in total) highlights how easy it is to switch from Android to iPhone with the Move to iOS app or points out iPhone features like speed and privacy. unless you decide to keep your current wired headphones. Apple releasing/revamping this ''Switch'' site just a few weeks after the release of the new Samsung S8. 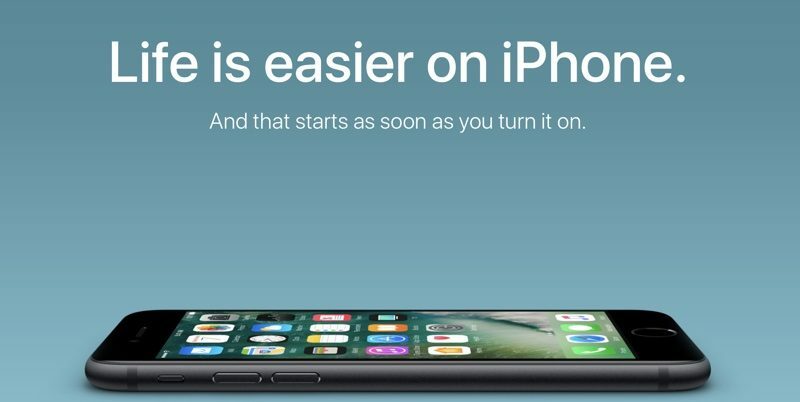 "Life is easier on iPhone'', not at all Apple. After 7 years using every new released iPhone I can tell you my life is much, much more easier (and a lot more productive) with my new S8 then every other iPhone from the past. In my opinion, once you try the iPhone and realize the security, the fluidity of iOS and the performance, coupled with with Apple's ecosystem, its bliss moving forward. Only iPhone's photo button is identical and exactly opposite to a volume button, causing iPhone users to lock their phone while quickly trying to take a photo. Bad Ive ergonomics, for 3 years now! TRUE! If only they made a inexpensive adapter... then I could just put the adapter on and I wouldn't have to keep complaining about it.. someday Apple, Some day..
Contradictorily enough, over the past couple years, I've had an increasing desire to try out an Android phone. Not that I dislike my 7 Plus, it's just over the past 10 years, I now find iOS structured and boring. I keep switching back to iPhone every time a new flagship Android phone is released. So ... I do keep giving Android a try, but I just can't make it my go-to phone. I used to care about tweaking my phone all the time, but now I just want simplicity and crap that just works out of the box. Android is getting better, though ... and both have their pros and cons ... but there are just some things about the iPhone that Android will probably never have. 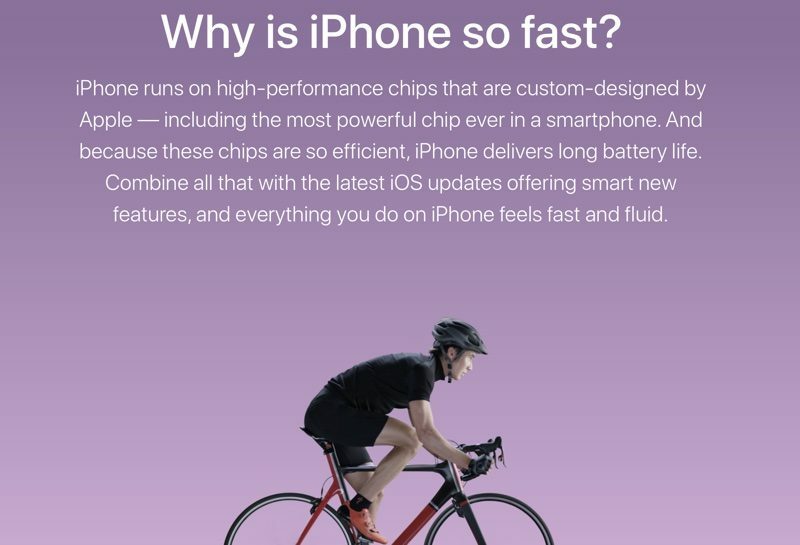 If Apple fix their software, up their game and make killer hardware (like they used to), then they wouldn't need to 'lure' people. They're not having any problems getting people to use the iPhone ... considering it's their primary means of gross income. I'll take structured and boring. I like my devices to be secure and work consistently. Wasting time endlessly troubleshooting things that stop working for no reason is far from my idea of fun; though granted, it's certainly not boring. If that's the worst people can say about iOS, personally I think that says why it's the best.